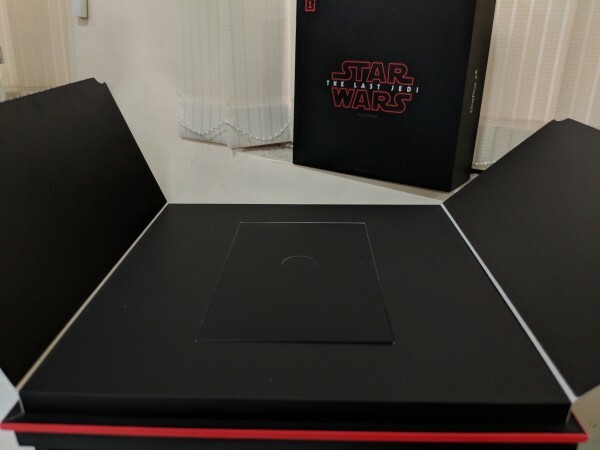 OnePlus 5T Star Wars edition has a cool secret, which will add more value to the theme. 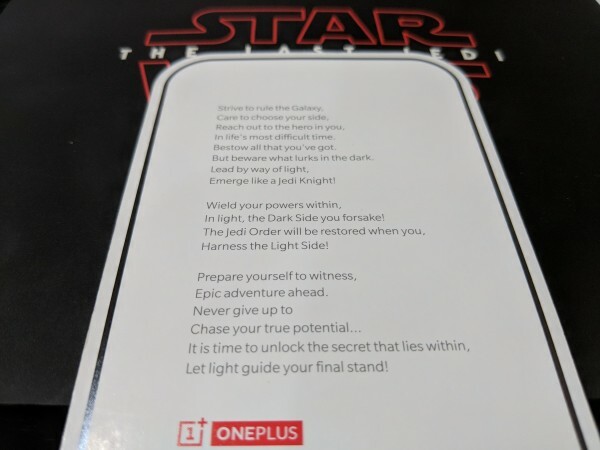 OnePlus 5T Star Wars limited edition smartphone is getting nationwide attention from the fans of the epic movie franchise. 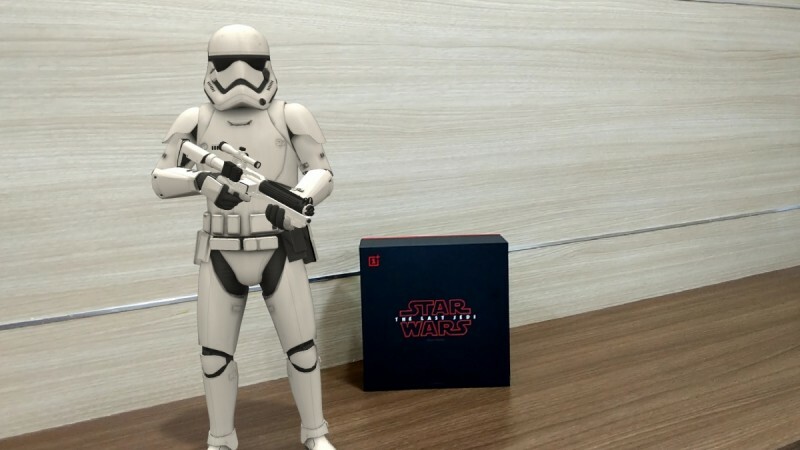 The timing of the launch of this smartphone coincides with the release of Star Wars: The Last Jedi, which was released in cinemas last week. 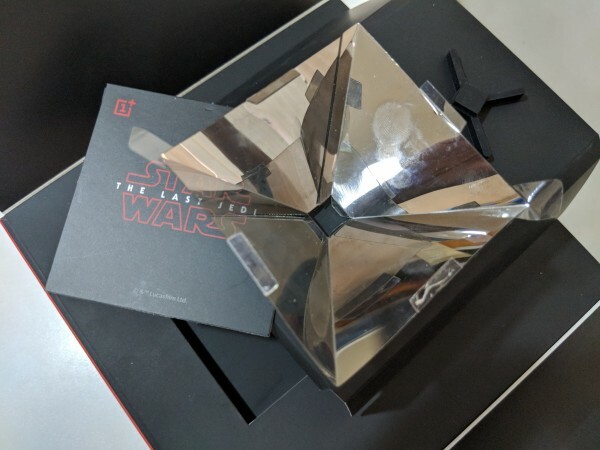 Early adopters of the OnePlus 5T Star Wars edition have a surprise stashed inside the handset's box, and it's incredibly cool. "Find the secret compartment and check the weather forecast on Ahch-To." If you're good at treasure hunt, you'd have picked up the clue from the first alphabets of the content of the letter only to see "SCRIBBLE WITH PENCIL." If you're not able to find the smartly concealed "secret compartment", just hold down the red base of the box and pull up the black box and voila! Tear off the red strip and you'll find a tiny box hidden inside. The secret box inside the hidden compartment includes three things – a black rubber base, a prism-shaped semi-transparent, reflective plastic sheet and an instruction card on how to use both items, which doubles as a cover for the prism on top. The DIY guide is pretty clear on setting up the holographic prism. At the bottom, you'll see a + symbol to add a new city, select that. Search for "Ahch-To" (Yes, exactly the aquatic planet, the origin for the Jedi, home to Jedi Master Luke Skywalker and the location of the first Jedi Temple). 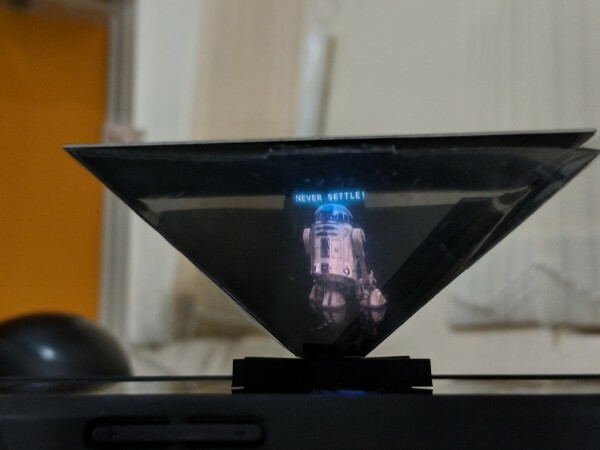 Select Ahch-To from below and place the prism attached with its rubber base at bottom and cover on top at the center. You'll get a countdown starting from 10, 9, 8..., so use that to adjust the position of the prism. As soon as the countdown ends, you'll see a message from the Force. There's no sound, but feast your eyes with this cool trick.